Looking for a fun and creative pumpkin recipe to enjoy with the cool fall weather and the changing color of the leaves? Me too! Of course you have the quintessential pumpkin pie and pumpkin bread recipes, but those get tired and old after a couple of times. The great thing about many pumpkin recipes is that if they’re not already vegetarian (and many times, vegan) friendly, they’re easy to convert. The only ingredient you’re likely to see that would disrupt the vegetarian qualification of a pumpkin recipe is good ole’ butter. The easy fix for that is to substitute Earth Balance vegan Buttery Sticks. Boom. Problem solved. Keep on cooking. I know, I know, I said that we weren’t going to use the tired old pumpkin pie recipe. But this isn’t your standard recipe. This one isn’t going to give you cancer. Since the hormone-disrupting chemical known as BPA is found in nearly all canned food in the US, skip the canned ingredients this holiday season and use these eco-friendly alternatives. 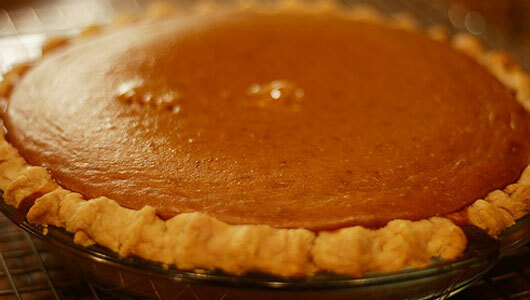 For Thanksgiving, we made this recipe from Diamond Organics, substituting fresh, homemade pumpkin puree for canned. Check out MNN’s article for a great idea on how to get around the ever-nasty canned evaporated milk that’s frequently called for in pumpkin recipes too. Once again (and henceforth), substitute the Earth Balance Vegan Butter Sticks for the butter and this recipe will be much better for you too. This one comes from the ever awesome Derek Markham and his blog Natural Papa. 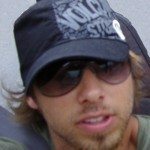 When you head over to Derek’s post for the more detailed instructions and variation ideas, be sure to thank him. He’s been experimenting with this recipe for years to get it just right. Thanks for sharing it with us Derek! Check out Alton’s recipe post for the detailed preparation instructions and video. Thanks Brown Eyed Baker! This is a great recipe. Yummmm. This unique pumpkin soup recipe idea originally came to me from the ultimate eco-chick, Starre Vartan, at Greenopia. 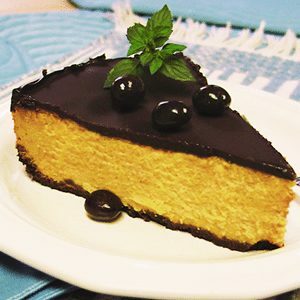 At the Gluten-Free Goddess’s page, you won’t only find the detailed directions, you’ll also find lots more gluten-free pumpkin recipes. Don’t miss out on those! We’re going back to Mother Nature Network one more time to find out how to turn the seeds from your jack-o-lantern into a toasty treat! 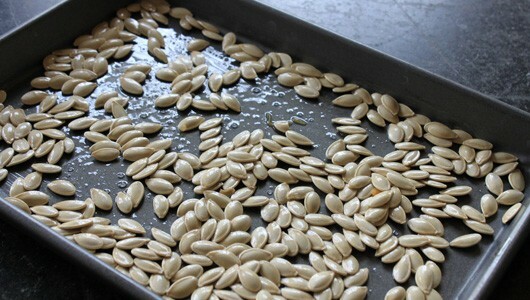 Separate the pumpkin seeds from the pulp while it’s all still wet. 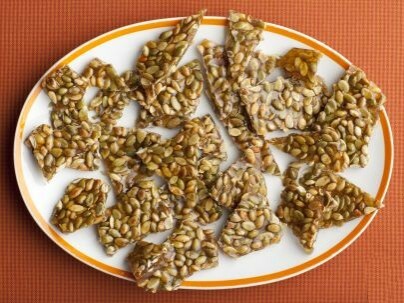 Once the pulp and the seeds dry, it’s more difficult to separate them. Bake at 325°F for 25 minutes, stirring every 10 minutes or so. I love how detailed all of their recipes and instructions are at Herbavoracious. Check out their post for all the details. Why is there no link for this recipe? Because it’s coming right out of my wife’s cookbook. It’s SOOOO complicated. Are you ready? See, I warned you…VERY complicated! Combine all of the ingredients in a mixing bowl and mix together until they form a thick batter type substance (which will be until you can no longer see any of the spice cake mix in powder form). Spoon out the batter into muffin tins and bake in the oven for 12 minutes at 350 degrees. 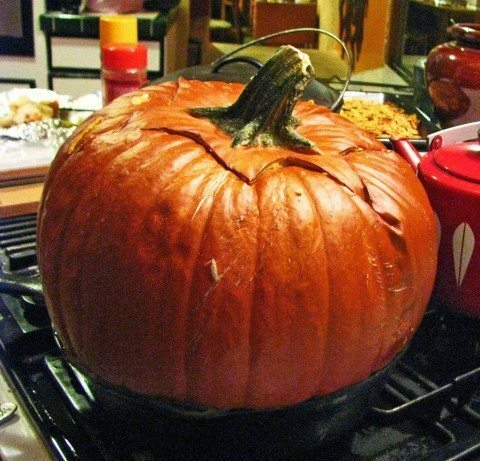 So there you have it, 9 of the best and most creative pumpkin recipes in existence. Which ones are your favorite? Do you have a unique pumpkin recipe of your own? If so please share in the comments… because now we’re all hungry!